The title is also a reference to the soul-sucking wallet-emptying iPhone game Candy Crush, but what I really want to focus on here is the appearance of everyone's favorite soft drink on the Spring 2014 runways. 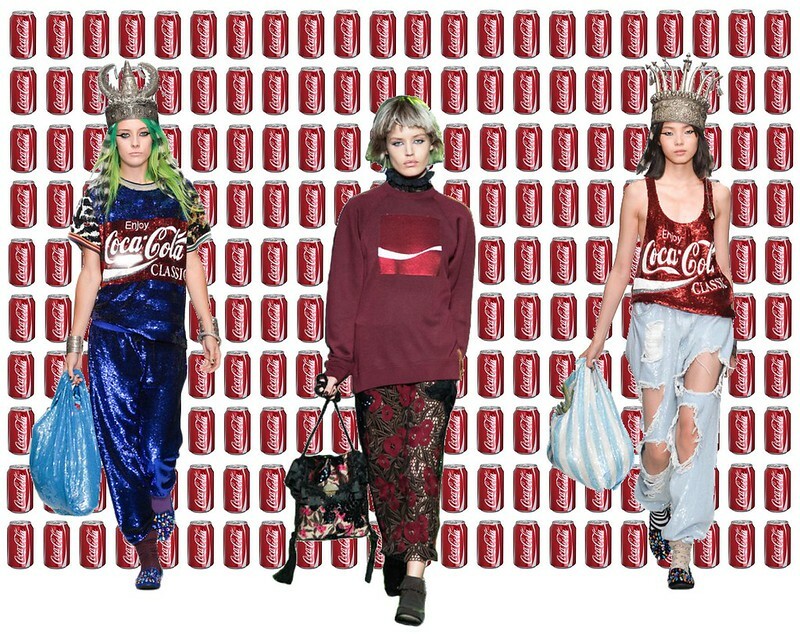 It seems designers are crushing hard on Coca-Cola, as both Marc Jacobs and Ashish showed classic Coke themed tops for spring. Ashish's show featured the logo on his signature sequined tanks and tees, and accessories ranging from grocery bags to crowns to traditional Indian- and African- inspired jewelry highlighted the multicultural ethos of the global beverage. Jacobs' collection was predominantly Victorian grunge, but just as he slipped in that Mickey Mouse sweatshirt amongst the mod offerings last spring, he again chose to accentuate a singular lounge piece with a bit of pop culture. Fashion is at a unique moment in time now, with the internet and the pervasiveness of street style having brought what was once highly exclusive to the masses, so it is refreshing to see designers embracing this with a nod to one of the greatest socioeconomic equalizers in history.